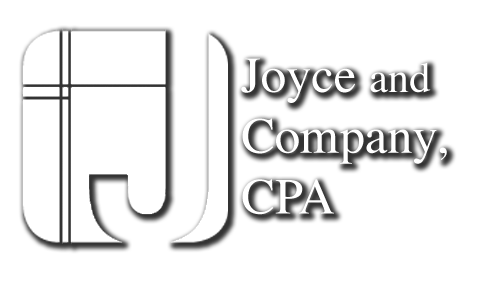 Joyce and Company, CPA is one of the leading firms in the area. By combining our expertise, experience and the team mentality of our staff, we assure that every client receives the close analysis and attention they deserve. Our dedication to high standards, hiring of seasoned tax professionals, and work ethic is the reason our client base returns year after year. Keith is the managing shareholder of the Firm. He practices in the areas of taxation, tax planning and audit and attestation services. Keith is a 1986 graduate of the University of North Carolina at Chapel Hill and continued his education at North Carolina State University completing accounting coursework needed to qualify for the Uniform Certified Public Accounting examination. He was awarded the Katherine Guthrie award for tying the highest overall score in North Carolina on the November 1995 CPA exam. He started with the Firm as a staff accountant in 1995 and acquired ownership in 2000. Emily began with the firm in 1979 and was admitted as a partner in 1987. She is a 1976 graduate of East Carolina University and continued her education at North Carolina State University taking a concentration in accounting to qualify for the Uniform Certified Public Accounting examination. Emily has over 30 years experience with individual and small business taxation as well as auditing and non-profit accounting services. Her training and experience has assisted municipal units to obtain the Certificate of Achievement for Excellence in Financial Reporting, presented by the Government Finance Officers Association of the United States and Canada to government units whose comprehensive annual financial reports achieve the highest standards in government accounting and financial reporting. Emily is a member of the American Institute of Certified Public Accountants and the North Carolina Association of Certified Public Accountants and is licensed in the state of North Carolina (State Board of Certified Public Accountant Examiners Certificate number 13364, issued January 21, 1982). Emily is an active member of her church and in her spare time, enjoys gardening and reading. Shelton was admitted as a partner on January 1, 2013 and has been with the firm since May 2007. He obtained his Masters in Accounting from the University of North Carolina-Chapel Hill in 2005 and worked with a national firm for two years. He is also a 1993 graduate of the University of North Carolina at Chapel Hill. His fifteen plus years of experience in the financial services profession has given him a unique perspective of the issues and challenges facing small businesses and their owners. His experience in individual, small business and non-profit taxation and accounting allows him to serve clients in various capacities giving them a trusted advisor for their important financial decisions. © 2019 Joyce and Company, CPA All Rights Reserved.